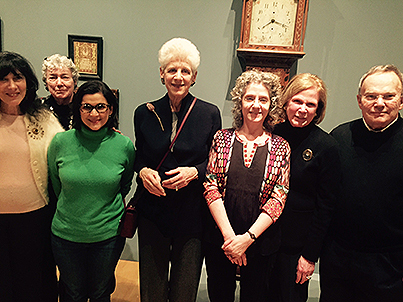 Join the museum for a daylong exploration of traditional folk art in Philadelphia. After departing from the American Folk Art Museum in Manhattan by motor coach, the first stop will be a visit to a remarkable private collection in Gladwyne, Pennsylvania. The collection features Shaker furniture, decorative arts, weathervanes, ceramics, Pennsylvania German redware and stoneware, and a significant display of antique, cast-iron penny banks. Guests will then proceed to downtown Philadelphia for a threecourse meal at Rembrandt’s. 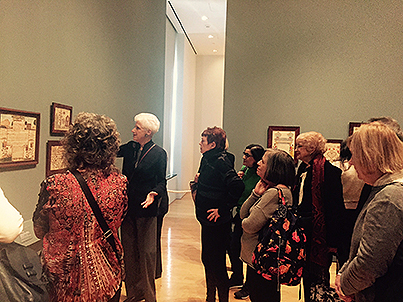 In the afternoon, guests will visit the Philadelphia Museum of Art for a private tour of Drawn with Spirit: Pennsylvania German Fraktur from the Joan and Victor Johnson Collection, led by collector and American Folk Art Museum trustee emerita Joan Johnson. These exquisite hand-drawn works on paper celebrate important moments in the personal and domestic lives of Pennsylvania Germans. With more than 230 fraktur on display by many of the finest and best-known fraktur artists, the exhibition showcases one of the leading private collections of fraktur in the country. The day will conclude with a return trip to the American Folk Art Museum. 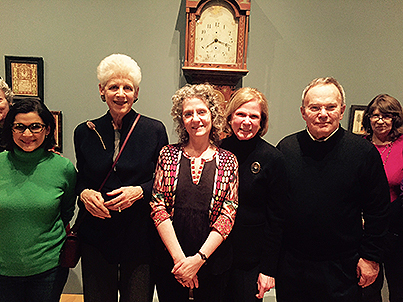 Please note that Folk Art Explorers Trips are open only to museum members. If you are not currently a member, you can sign up for the trip and save $10 on any level of membership at the same time. Image: Birth and Baptismal Certificate for Eleina Haack and Birth and Baptismal Certificate of Catharina Haack, attributed to the Northampton County Artist (act. c. 1816–1837), c. 1830, watercolor and ink on wove paper, 15 1/2 x 12 1/2″, Philadelphia Museum of Art, promised gift of Joan and Victor Johnson-482.